It can be very stressful as you attempt to accommodate the wishes of your family remembers while ensuring that they will be cared for in the event of your death or incapacitation. Earl D. Lawson, a Tulsa Estate Planning Attorney, focuses on your wishes and your goals as he assists you in devising an estate plan that makes clear what your final wishes are and that meets your goals of providing for your family in the event of your death or incapacitation. Through many years of experience, Mr. Lawson walks each client through the estate planning process to ensure that the client’s goals are met. From analyzing a family’s financial circumstances and goals to viewing and educating clients on the various types of estate planning tools and options, it is the desire of Oklahoma Will & Trust to help each client draft and implement the estate plan that is best for him or her. Many people believe that estate planning is only for individuals with large estates or those who are ready to retire; however, this is far from the truth. We draft estate plans for a wide range of clients, including couples just starting out, young families with children, blended families, senior citizens, retirees, business owners and many more. Estate planning is an important financial tool for every person regardless of his or her age, income or financials status. What Can A Tulsa Estate Planning Attorney Do For Me? Provide for your loved ones in the event that you are incapacitated and you are unable to manage your finances. Choose what type of health care or personal care you desire and who will be in charge of making those decisions should be you become incapacitated. How your property will be managed during your lifetime as well as after your death. When and under what circumstances your property may be distributed to beneficiaries or heirs during and after your lifetime. How your final estate will be distributed and handled upon your death. Many people mistakenly assume that estate planning is simply drafting a last will and testament; however, estate planning encompasses much more than just planning for one’s death. While a good estate plan is tailored to the individual and family’s level of wealth and assets, all individuals and families benefit from the services of an experienced Tulsa Estate Planning Attorney. In addition to helping you plan for your death, an estate planning attorney can also help you draft a plan in the event that you are incapacitated due to an illness, accident or old age and you are unable to make decisions for yourself. Some common estate planning tools that the attorney will review with you include powers of attorney (i.e. durable power of attorney, limited power of attorney, etc.) and a health care proxy (i.e. medical power of attorney). These types of estate planning documents allow you to appoint an agent that you trust to make financial and health care decisions for you in the event you are unable to do so for yourself. Your Tulsa Estate Planning Attorney can also review how you hold title of your assets and discuss several options you may want to consider that can benefit both you and your heirs. Deciding to change how you hold title is a complex and sometimes risky decision, you need the services of an experienced estate planning attorney like Earl D. Lawson to help you work through the pros and cons of this decision before you make any changes that will affect you and your heirs. You can reach a Tulsa Estate Planning Attorney at (918) 876-4500 to schedule a free consultation to discuss estate planning in more detail. Your attorney will also discuss the benefits and possible disadvantages of using trust agreements as an advanced estate planning technique to provide for your family both while you are living and after your death. Trust agreements are another important tool that can be used to accomplish certain goals for the individual, such as providing for a child with special needs both while you are living and after your death. When you need the services of an estate planning attorney with the skill to handle all types of situations, call Oklahoma Will & Trust. 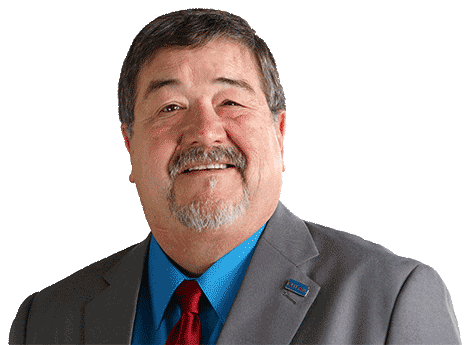 Attorney Earl D. Lawson is a skilled Tulsa Estate Planning Attorney who understands the probate laws governing estates in Oklahoma. 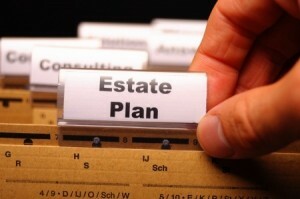 He also understands the sensitive and emotional issues involved with estate planning.